PennsylvAsia: 2017 Justin Chon film Gook in Pittsburgh, from September 8. 2017 Justin Chon film Gook in Pittsburgh, from September 8. 2017 marks the 25th anniversary of the Los Angeles Riots, and those burning days don’t feel nearly so long ago in “Gook,” an uneven but compellingly immediate take on that moment in history from a rare Asian-American point of view. Drawing on events from his own childhood, writer-director-star Justin Chon wears his Generation X influences on his sleeve in this initially droll, finally mournful character study of two Korean-American brothers trying to keep their father’s shoe store afloat as cultural relations blister across L.A., as well as the young African-American girl who has a surprising bond with them. Alternating between bristling Spike Lee-style protest and the slacker sensibility of early Kevin Smith — in crisp black and white, to boot — Chon’s sophomore feature wavers uncertainly in tone, getting a little too cute for comfort in spots, but is otherwise a lively, auspicious breakthrough. 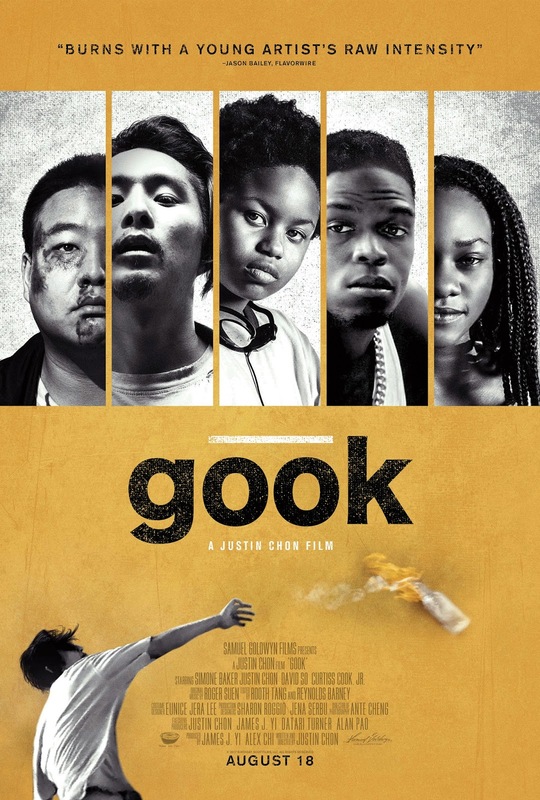 With a Sundance audience award in its back pocket, “Gook” should manage some niche theatrical play. The movie was released on August 18, and will play at AMC Loews Waterfront from the 8th. Tickets and showtime information is available online via Fandango. The theater is located at 300 West Waterfront Dr. in the Waterfront shopping complex in Homestead (map), across the Monongahela River from Greenfield, Squirrel Hill, and the rest of Pittsburgh.